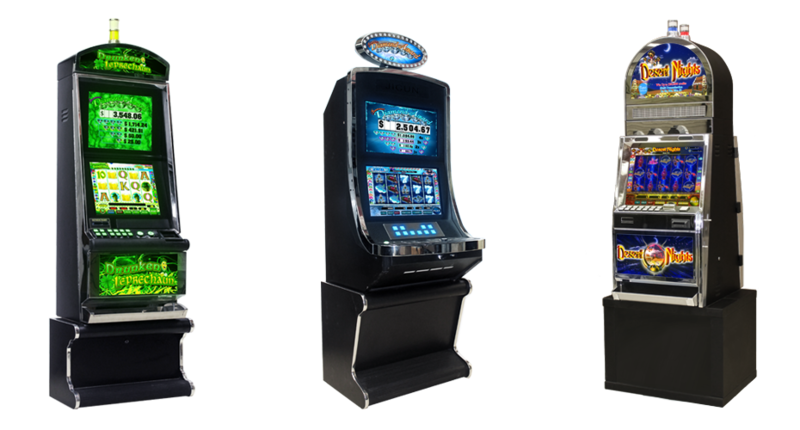 Electromatic International’s Class III slot machines, known as "Vegas-style" slot machines account for 70% of all gaming revenue. With so much on the line, it's important to have the best and teaming with Electromatic International can give you the edge you’re looking for. 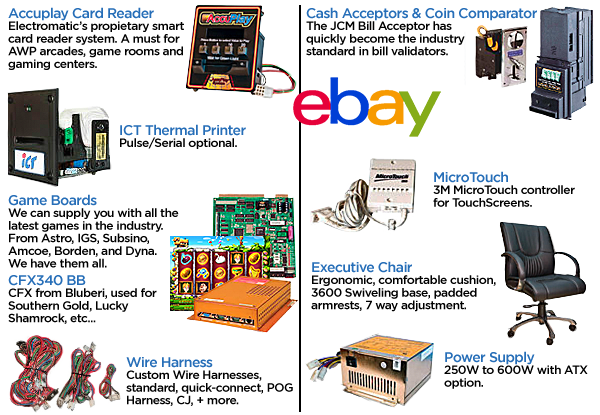 Industry specific game cabinets ranging from amusement, redemption, sweepstakes, and compliance gaming. All cabinets are engineered and constructed with the finest quality products and are CNC cut to produce the strongest and longest lasting amusement machines in the industry. This multi-site progressive jackpot system is a must for your location. 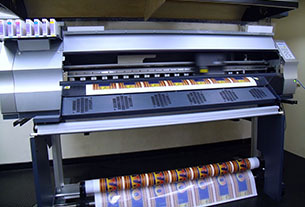 Electromatic International was first to pioneer the WAP technology in the AWP market. 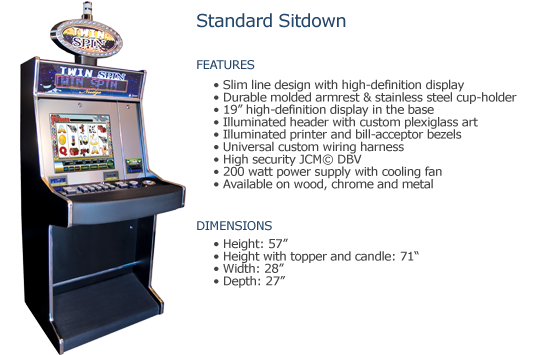 It consists of a main jackpot controller that is connected to all the games in different sites. By escrowing a small percentage of monies played, the server will randomly award the jackpot prize(s) to the player playing on WAP enabled games. 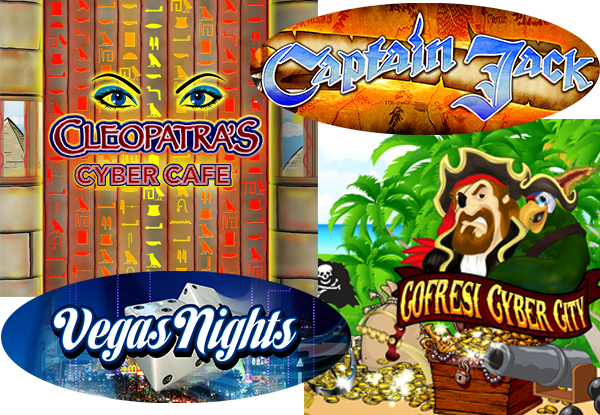 Creating exciting jackpots with prize values that are higher than any stand alone jackpot or progressive bonus system. The WAP system is a must for driving traffic to your location and creating player excitement. Contact Electromatic today to schedule your WAP installation! 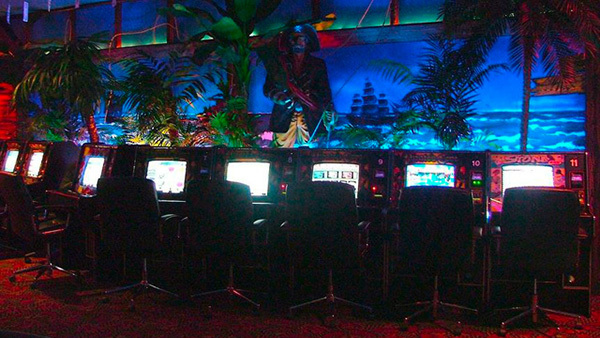 Electromatic international designs, constructs, and decorates amusement centers, arcades, game rooms, and casinos. From conception to creation, Electromatic International uses light-weight, cost effectve materials to recreate the atmoshpere of a casino at a fraction of the price. In-house contractors and artists can make dreams come true from an amusement center to a compliant gaming facility. Electromatic International is a main supplier of industry related components, such as PC boards, monitors, bill acceptors, thermal printers, smartcard readers and more. Be sure to visit our online store for more products and information. 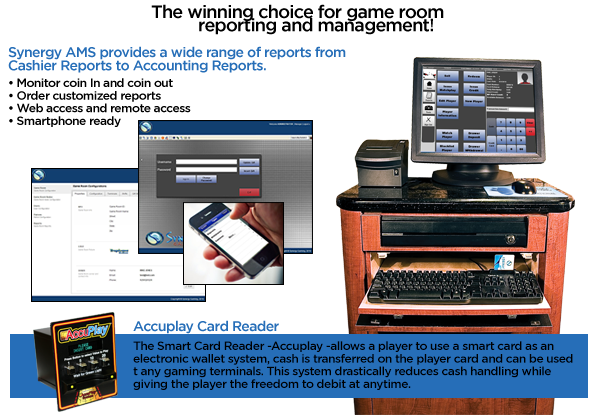 Synergy AMS is an administrative tool that provides, through a user-friendly customizable interface, essential functions for operating a Game Room. Manages user, employee and administrator access rights and information. The AMS System allows the monitoring of all operations in real time in a Secure central data base.The control panel offers an online display for selected operations, management, and continuous information. Custom Graphics, Smart Cards, Signs and More! Our team of creative and motivated designers provide custom graphic design services to fit your needs. From the plexi header design to the smart card design, we are flexible and more than happy to work out any combination of graphic design features that you want. © 2014 Electromatic International, INC. All rights reserved.